According to Fr. Gabriele Amorth, the recently passed Chief Exorcist of Rome, who has performed seventy thousand exorcisms, demons generally do not and cannot say holy names. Instead, they call Jesus “he” or “your Boss.” If our most abhorrent spiritual enemies shudder at the idea of speaking the holy name of God, why then do we say it with such carelessness and recklessness? It seems everywhere these days people take the name of God in vain. It should stop us in our tracks whenever we hear it. It is after all the Second Commandment, “You shall not take the name of the Lord your God in vain,” (Ex. 20:7) included among the other Ten Commandments like “you shall not kill,” “you shall not commit adultery,” and “you shall not steal.” Taking the Lord’s name in vain, if done with full knowledge and consent, is blasphemy. That makes it a mortal sin, which could send a soul to hell. This echoes the warning from Jesus, “I tell you, on the day of judgment men will render account for every careless word they utter; for by your words you will be justified, and by your words you will be condemned.” (Mt. 12:36-37) We should be very careful to heed the Second Commandment and treat the holy name of God with the utmost reverence and respect. In Hebrew tradition, names are not merely labels but are linked inseparably to the identity of the person. When Jesus chose Simon to be the foundation of His church, He gave him a new name, Peter, from the word for “rock.” In this Jewish understanding, names reveal the identity and essence of a person. The catechism builds upon this saying, “Everyone’s name is sacred. The name is the icon of the person.” (CCC 2157) Yet, God had not revealed His name, even to the Patriarchs of Israel: Abraham, Isaac and Jacob. It was not until Moses comes to the burning bush on Mount Horeb that God reveals His name to His people. After God gives His mission to Moses to lead the Israelites out of Egypt, Moses says if they ask me, “‘What is His name?’ what shall I say to them?” God said to Moses, “I Am Who I Am.” (Ex. 3:13-14) God reveals the divine name, Yahweh, to Moses and Israel, and establishes a personal relationship with them as their God. God’s name “I Am” reveals that He is existence and being itself. Later, after Moses leads the Israelites out of Egypt, he again comes before God on the top of a mountain. Yahweh is wrapped in smoke and fire, and lightning and trumpet blasts, as Mount Sinai quakes and trembles at His presence. It was here, in that terrifying scene, that Moses receives the Ten Commandments, and the voice of Yahweh speaks in thunder, commanding humanity not take His name in vain, for “the Lord will not hold him guiltless.” (Ex. 20:7) To this day, religious Jews will not speak the name of God, but instead refer to Him as Adonai (Lord), or simply “Ha Shem” (the Name). The name of God and Jesus Christ are holy and powerful, and we should take great care not to utter them carelessly or profanely. The name of God is the means of our sanctification, consecration, and salvation. It should be spoken in prayer, worship and praise, not in idle or empty talk, and most certainly not as a curse word! Even as found on social media in everyday expressions, like OMG, this similarly expresses a lack of respect towards the holy name of God. It is interesting that that phrase is almost like a mocking of the first words of the Act of Contrition that we say in Confession, “O My God… I am heartily sorry for having offended You.” I find it deeply offensive, on behalf of how I am sure God feels, when I hear someone say the name of God in vain or curse using His name. 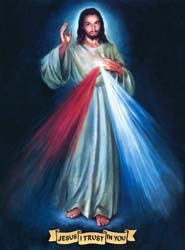 I prefer to say a small prayer in reparation for this offense against God and for the person who said it, something like “Sit nomen Domini benedictum,” or “blessed be the name of the Lord.” Rather than using the Lord’s name in vain, we should consecrate all of our words and deeds in the name of Jesus. (Col. 3:17) He is our hope, for “every one who calls upon the name of the Lord will be saved.” (Rom. 10:13) We know too that Jesus calls each of us, His sheep, by name (Jn. 10:3) If we follow Him, God will inscribe His name on our foreheads, sealing us as His for all eternity. (Rev. 14:1) This is His promise of eternal life and our hope for Heaven. Blessed be the name of the Lord! This entry was posted in Name of God and tagged act of contrition, Adonai, Baptism, demons, exorcism, exorcist, Fortea, Gabriele Amorth, God, Ha Shem, Holy Name of God, Jesus Christ, Name of God, name of the Lord, OMG, Second Commandment, Ten Commandments, vain on September 18, 2016 by Brian.